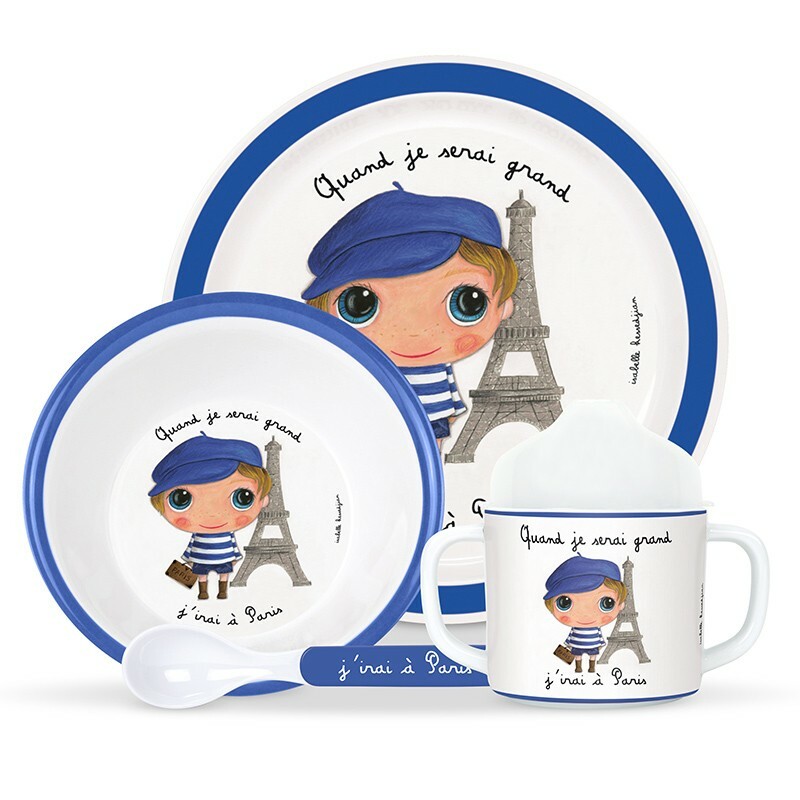 Complete melamine dinner set for babies and children. Plate + bowl + spoon + double handled cup with lid. Removable flexible plastic sippy lid.